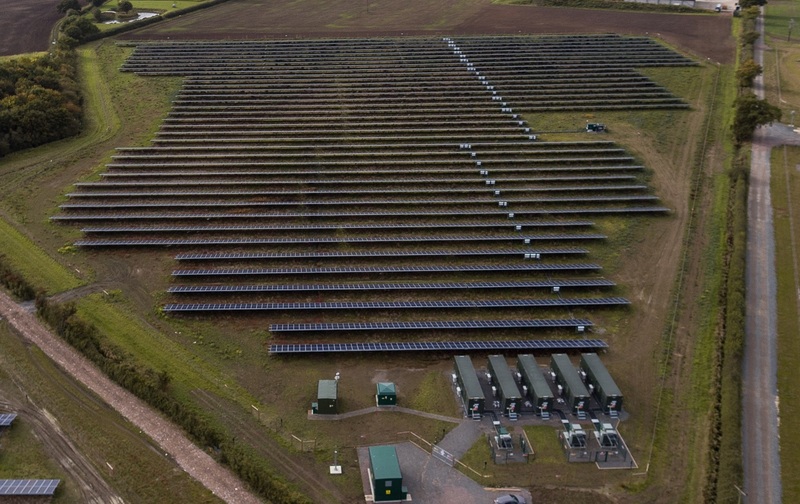 UK-based renewables developer Anesco has laid claim to the country’s first subsidy-free solar farm, a 10MW site near Flitwick in Bedfordshire. Clayhill Solar Farm was developed by Anesco in just 12 weeks with work being conducted over the course of this summer and, crucially, after the Renewables Obligation scheme had closed to new applicants. The Huawei-built inverters are also considered to be a crucial factor in the site’s subsidy-free natures. Anesco said it was the first time the manufacturer’s “ground-breaking” 1,500V inverters have been deployed in Europe and are used to maximise power conversion. Climate change minister Claire Perry is to formally open the site at a ceremony later today and she described the development as a “significant moment for clean energy in the UK”. Solar Power Portal will be reporting live from the Clayhill Solar Farm opening later today, so be sure to check in for more detailed analysis of the site and its development.